RBD is a relatively rare condition and is largely unknown to most physicians (see above 2), therefore it is often misdiagnosed and mistreated. The differential diagnosis of recurrent dream enactment behavior includes NREM parasomnia, nocturnal panic attacks, nocturnal seizures, nightmares, nocturnal wandering associated with dementia, and OSAS (Boeve, 2010a). A complaint of nocturnal disruptive behaviors is the major clinical feature of several other conditions, such as primary and secondary disorders of arousal, dreaming, and panic disorders (Table 3). Primary arousal disorders from NREM sleep include confusional arousals, sleepwalking, and sleep terrors. In contrast to RBD, sleepwalking and sleep terrors are more frequent in children and rarely appear de novo in middle-aged or elderly individuals. They are also characterized by confusion and retrograde amnesia upon awakening at the time of nocturnal episodes; these phenomena are not seen in patients with RBD. In general, RBD involves attempted enactment of altered dreams and rapid awakening from an episode that usually occurs two or more hours after sleep onset. In contrast, sleepwalking and sleep terror episodes often emerge within two hours after sleep onset, are not usually associated with rapid alertness, and are rarely associated with dreaming in children. Adults can have associated dreaming, but it is usually more fragmentary and more limited than RBD dreams. Severe OSAS and nocturnal epilepsy may mimic the symptoms of RBD. Patients with severe OSAS may present with unpleasant dreams and dream-enacting behaviors (Iranzo & Santamaria, 2005). 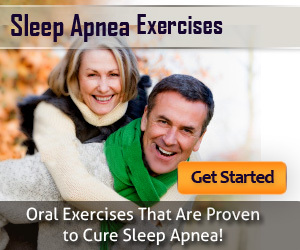 Continuous positive airway pressure (CPAP) therapy can eliminate abnormal nocturnal behaviors. Sleep-related seizures usually present with repetitive stereotypical behaviors. When a diagnostic clarification is necessary, particularly when the risk for injury is high, the behaviors occur at any time of the night, other features suggesting an evolving neurodegenerative are present, or loud snoring and observed apnea suggestive of OSA are present, PSG with simultaneous video monitoring is warranted (Boeve, 2010a). 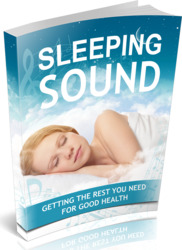 Get All The Support And Guidance You Need To Be A Success At Sleeping Well. This Book Is One Of The Most Valuable Resources In The World When It Comes To Getting The Rest You Need For Good Health.